Solo show and reception of the new series by Yitzchok Moully - the Pop Art Rabbi. Wine and cheese tasting sponsored by Royal Wine and Natural & Kosher. Live music by Craig Judelman. 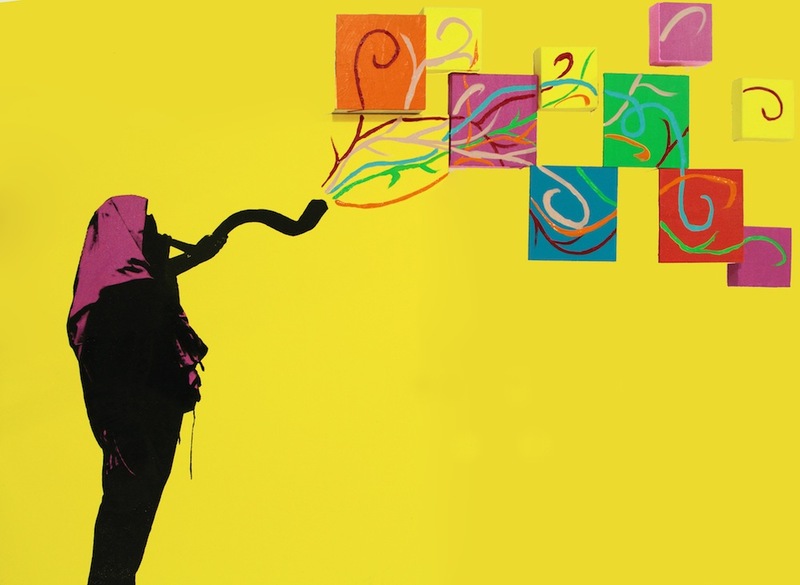 Over the years Moully explored Jewish and Chassidic concepts through popular Jewish imagery in the classic pop art style. Moully’s work became recognizable showing up in calendars, publication, Purim gift sets, and t-shirts, to name a few. But Moully was looking for more out of his work. At a gallery in Toronto Moully was blown away by the work of John Pierre Lafrance and wanted to explore abstract expressionism despite not knowing where to begin. When Moully was introduced to the Art with the Master classes by Philip Sherrod things began to fall in to place. Under the guidance of Sherrod, Moully broke through his own limitations to create what he calls ‘Post Pop’ using the silkscreens of his pop imagery as a foundation for new pieces, exploring the same imagery with a whole new perspective. The public is invited to come and see this new body of work for the first time on display in one location at the opening ReceptionThursday, August 29 at 7pm at Hadas gallery 541 Myrtle Ave in Brooklyn. The show will be up through the month of September, through the “High Holidays for the Arts” presented by the Jewish Student League of Pratt Institute.